A-HOTEL.com - Luxury and cheap accommodation in Tëploye, Russia. Prices and hotel, apartment booking in Tëploye and surrounding. Situated in Lipetsk, 4.2 km from Sobornaya Square, Apartment on Ulitsa Gagarina 107 provides a living room with a flat-screen TV. 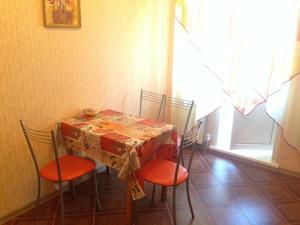 Set in Lipetsk, Apartment na Kosmonavtov 46/4 offers self-catering accommodation with free WiFi. Guests benefit from balcony.